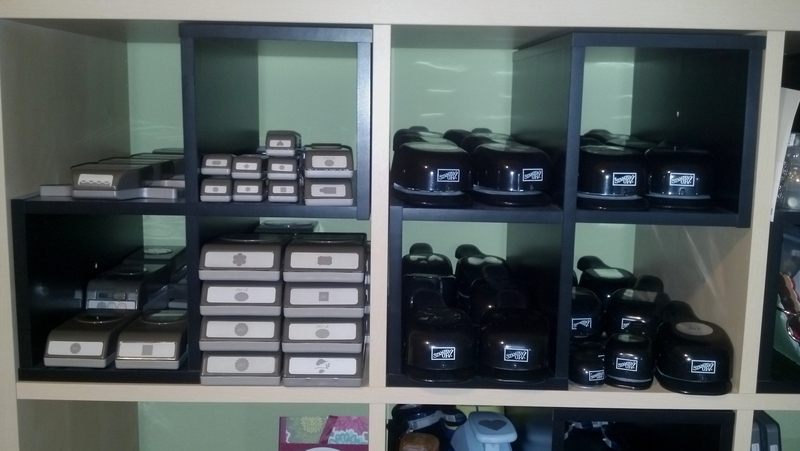 When I started stamping I kept everything in a container in my home office. 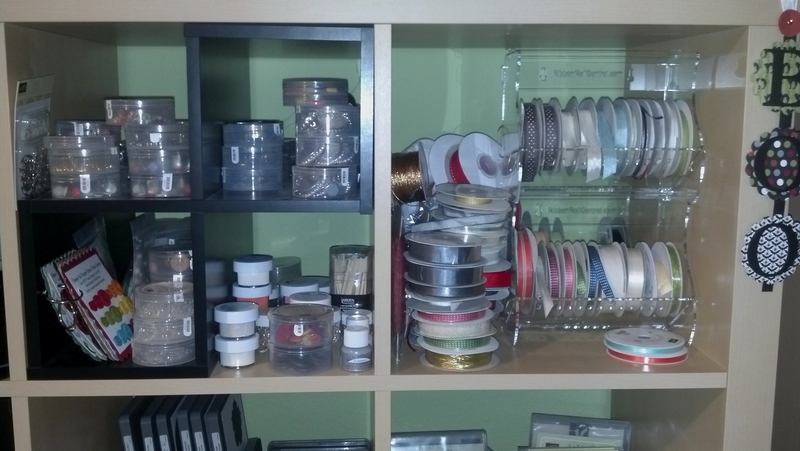 Next I upgraded to two containers on wheels, then I added two plastic boxes! 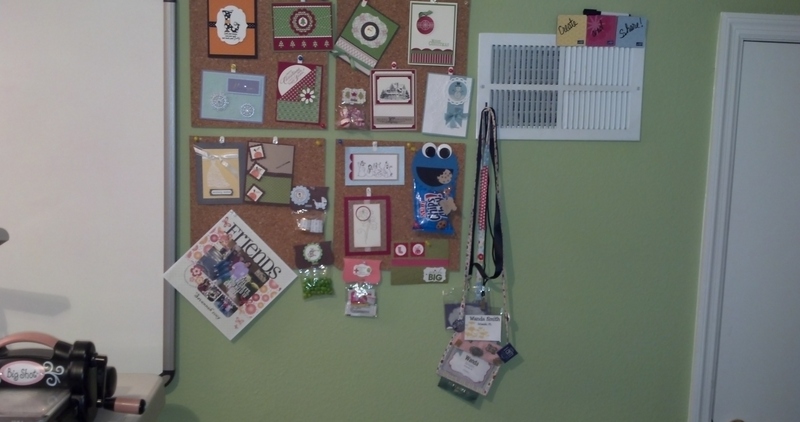 It got to the point that I couldn’t reach my light switch! 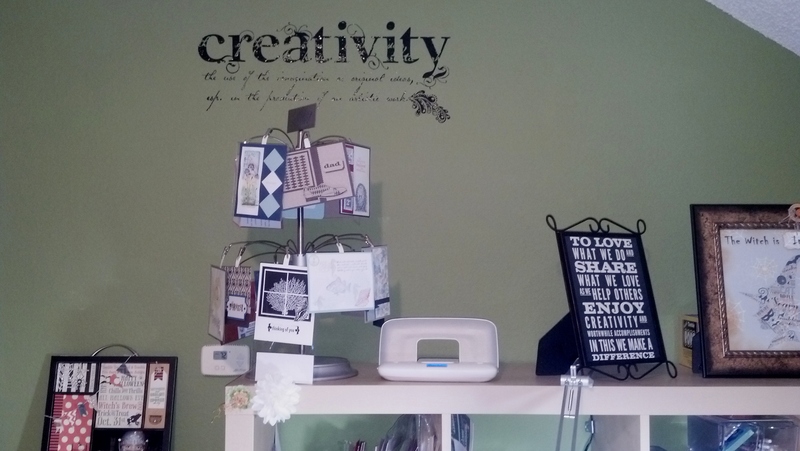 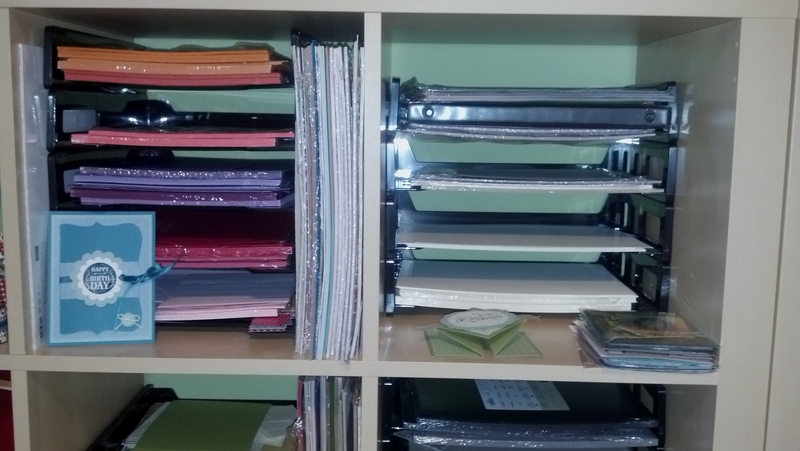 The next location for my stamping supplies was my son’s old bedroom and I outgrew that within a year! 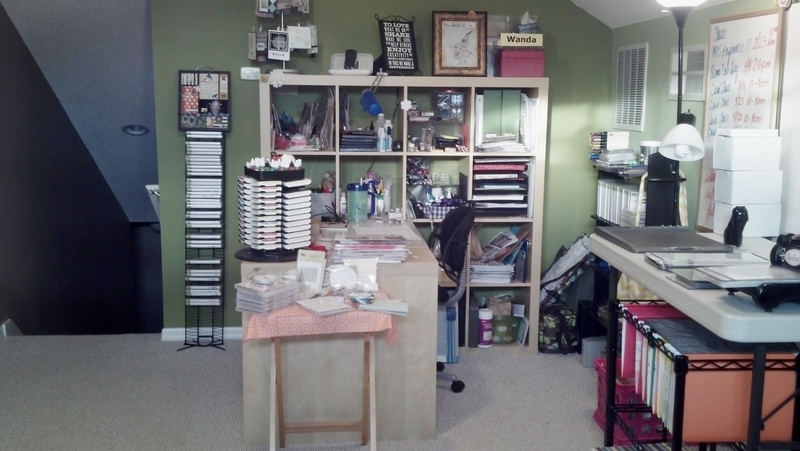 I finally occupied the bonus room which is the size of a two-car garage! 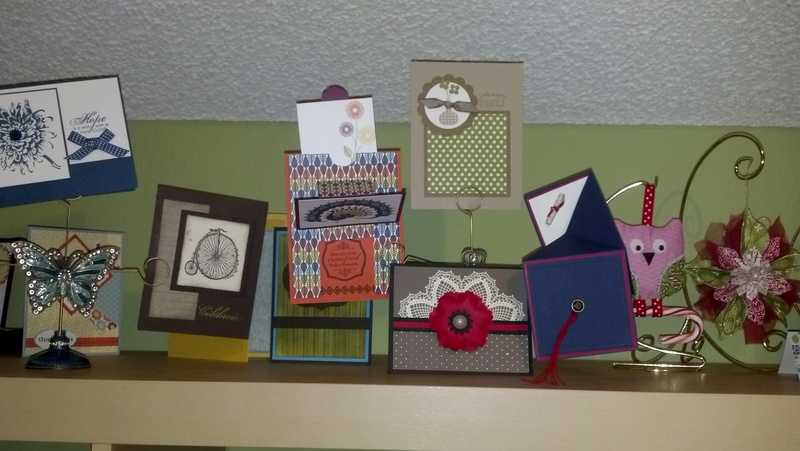 Here I stamp all night and give classes. 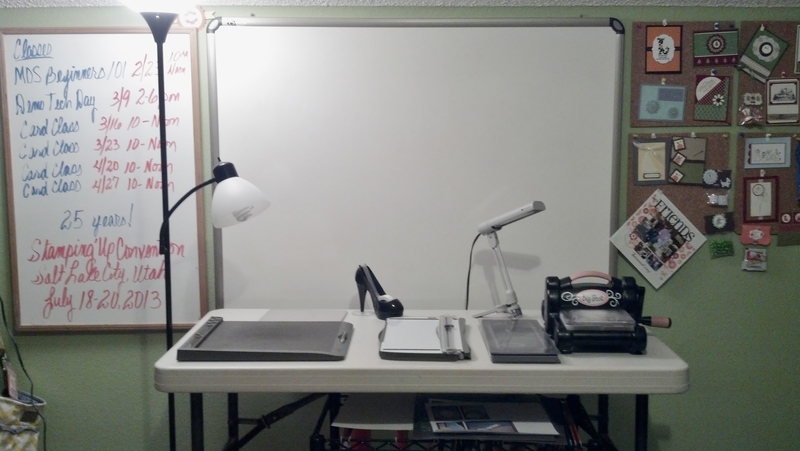 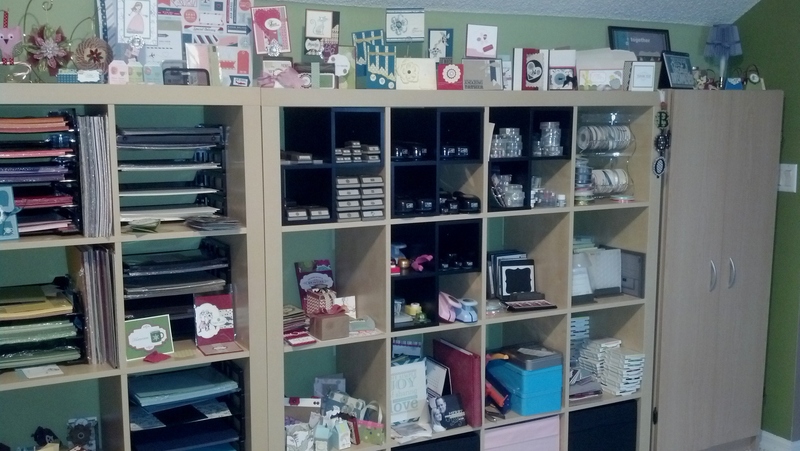 Below are a few pictures of my Stamping Studio as is today, February 2013. 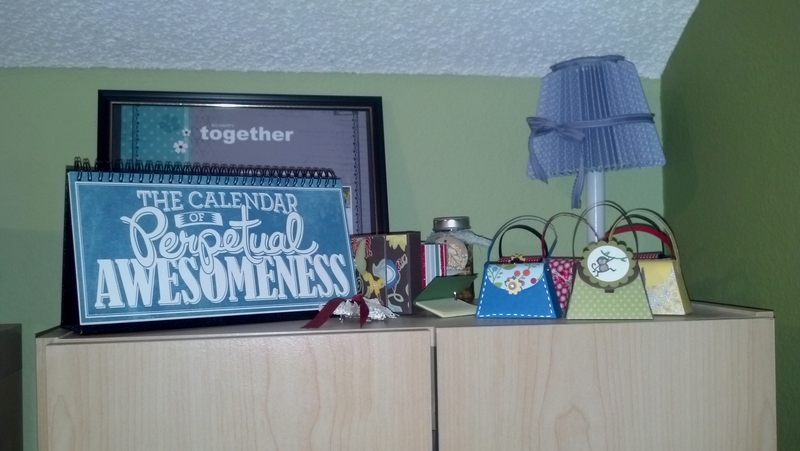 When I update my displays I’ll add more pictures. 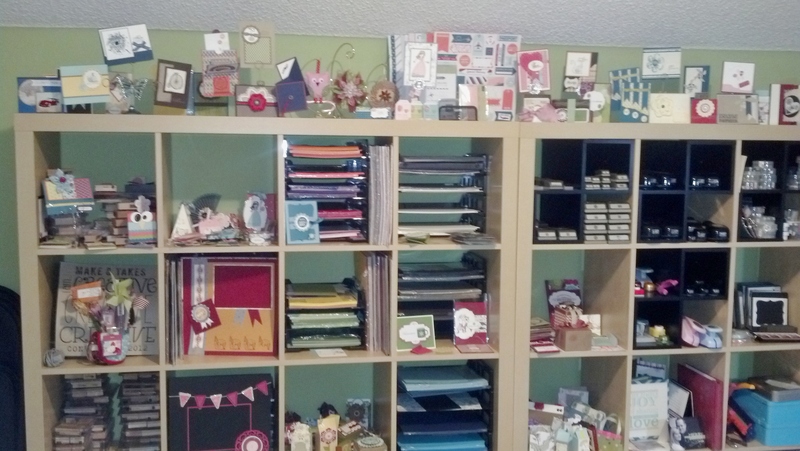 This is the entrance from the stairs and my desk where I stamp all night long! 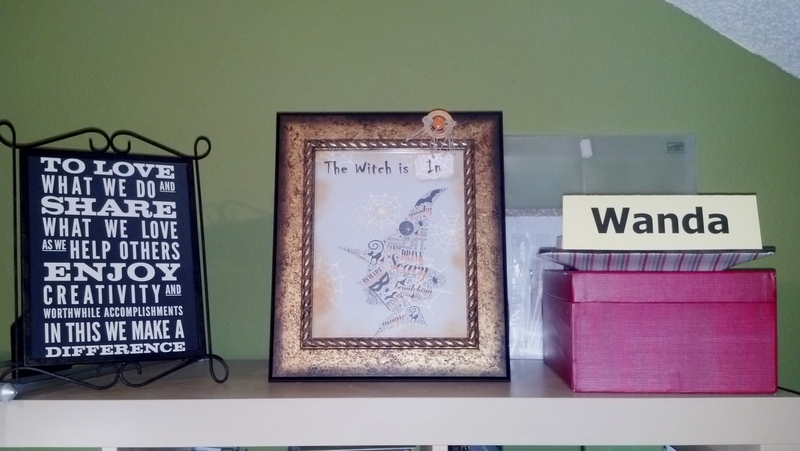 Display above and around window. 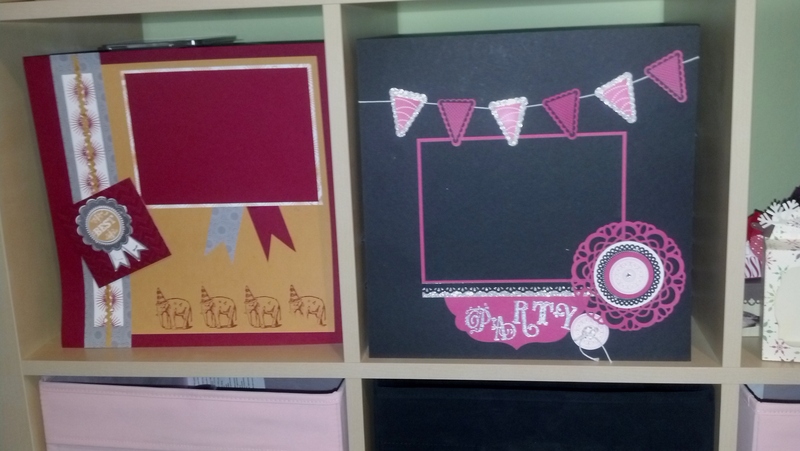 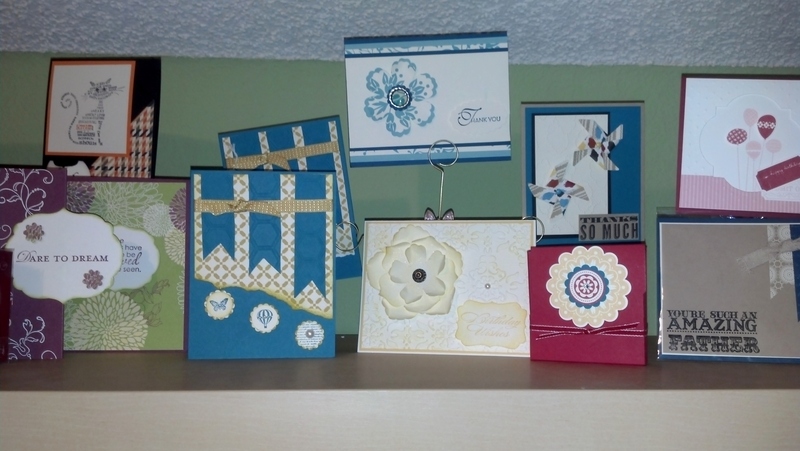 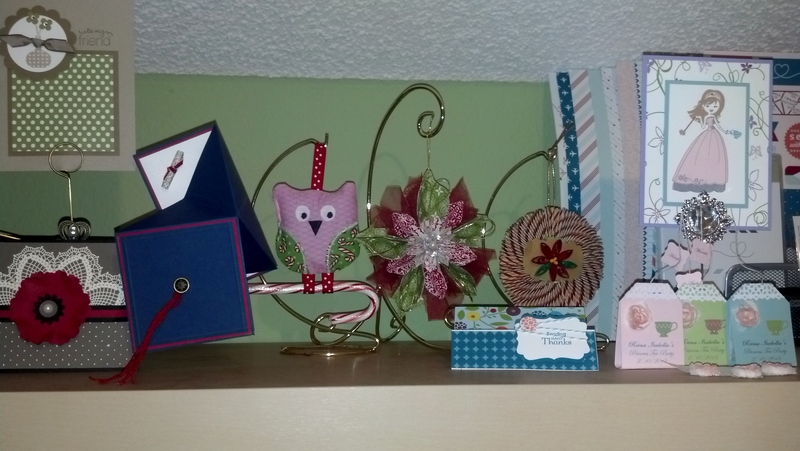 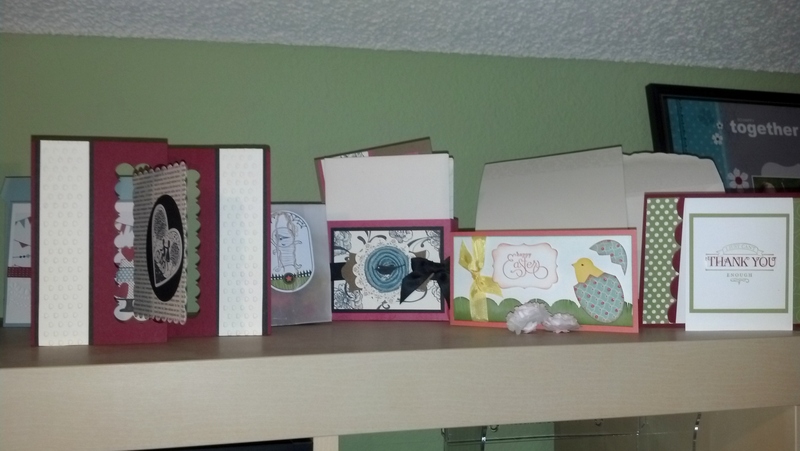 And here’s a picture of one of my card classes, check out my schedule and join the fun! 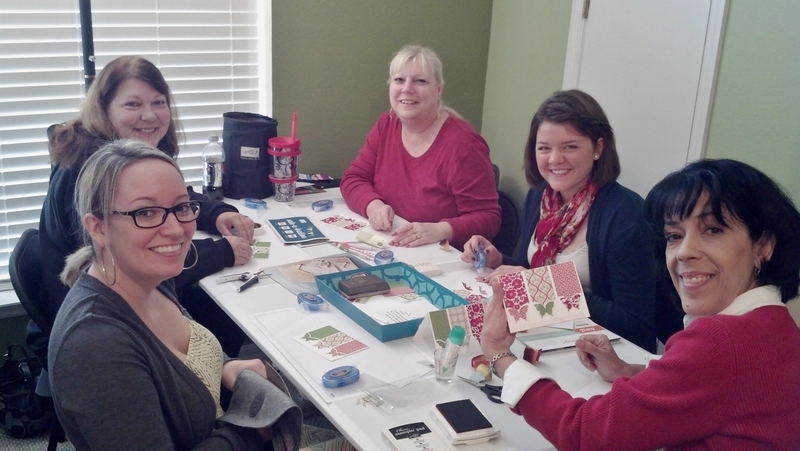 No experience necessary, in this particular class there were three who never ever stamped before or have ever made cards. 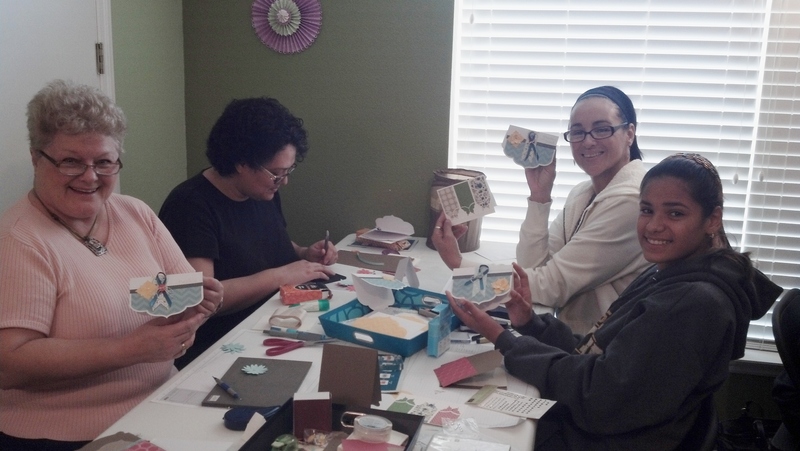 They got their creative juices flowing (which they said they didn’t have) and made beautiful unique cards! 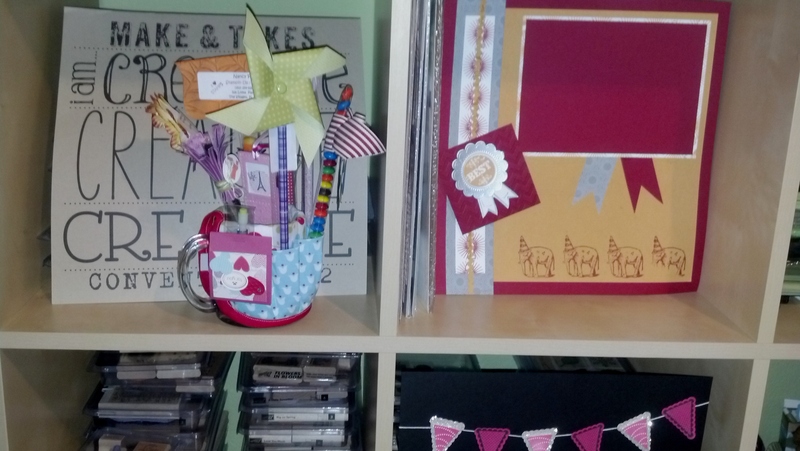 Everyone has a creative side, take a class and I’ll help you bring it to the surface! 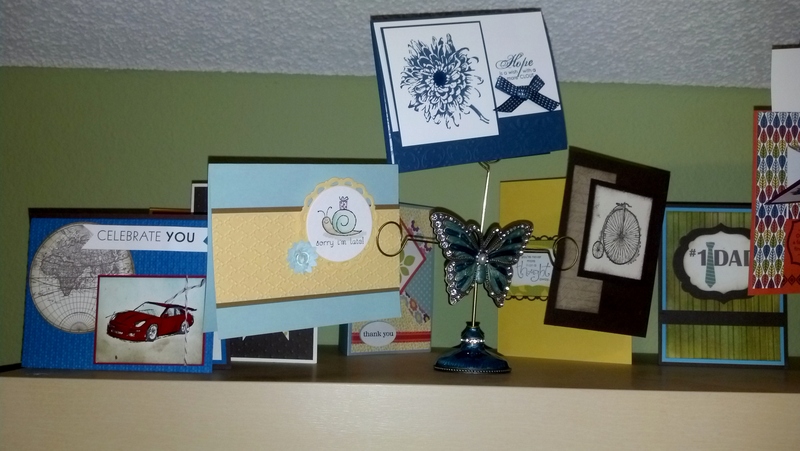 If you don’t feel very creative that day, don’t worry…I did all the creative work for you all you have to do is follow my instructions, put the card together and viola! 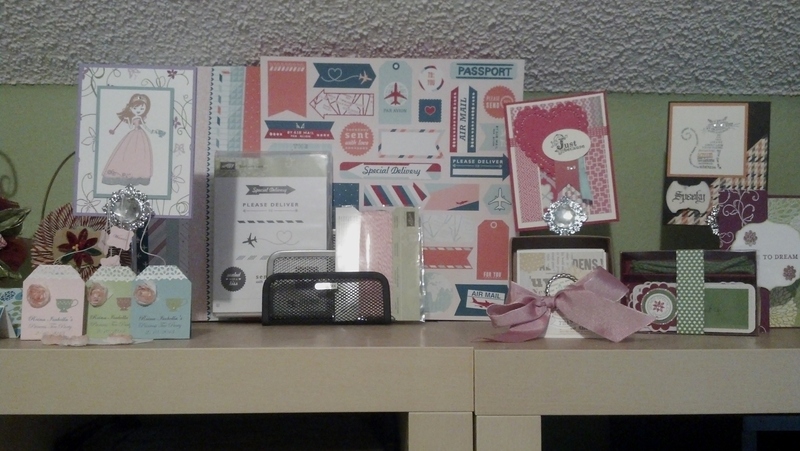 Thanks, I would love to see a picture of your space!